Magnus Theatre opens its 2016-2017 season on September 12 with Million Dollar Quartet, the jukebox musical by Floyd Mutrux and Colin Escott that rocked Broadway and the West End. 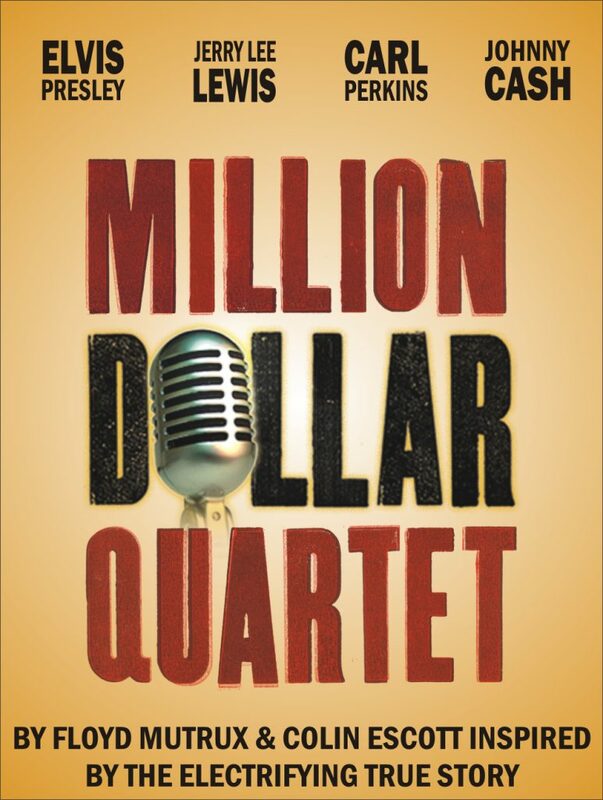 Million Dollar Quartet dramatizes the real-life spontaneous jam session that brought together four of music’s greatest icons for one legendary night. Following several tryouts in regional markets which began in 2008, Million Dollar Quartet landed on Broadway in 2010, earning critical acclaim and a Tony Award for Levi Kreis as Best Featured Actor in a Musical for his portrayal of Lewis. It subsequently opened in London’s West End, has toured across North America and the U.K., and recently had its Canadian premiere at the 2016 Chemainus Theatre Festival. Featuring a score of venerable rock hits including “Blue Suede Shoes,” “That’s All Right,” “Great Balls of Fire,” “Walk the Line,” “Whole Lotta Shakin’ Goin’ On,” “Hound Dog” and more, Million Dollar Quartet promises to be a thrilling musical that brings its audience inside the studio with icons who came together as a rock and roll band for one incredible night.